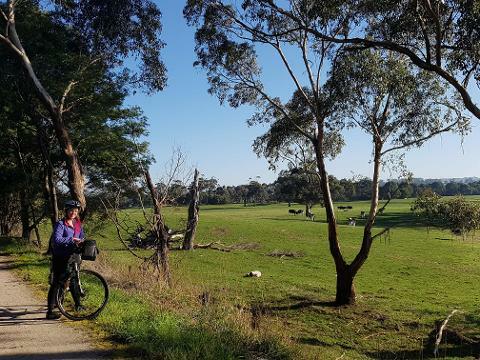 The Great Southern Rail Trail is a 72 km journey on cycle paths that follow the old railway easement through the quirky little towns of Gippsland, each with their own tastes and friendly locals. 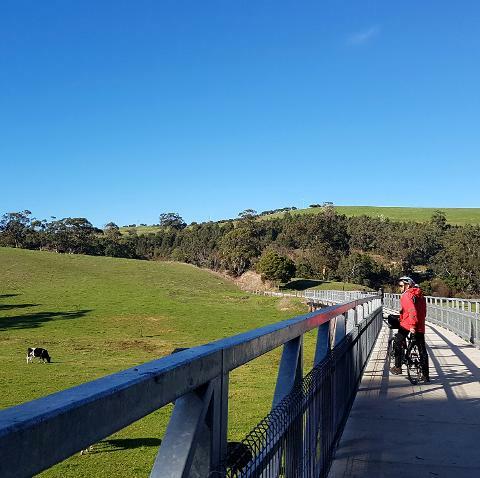 The cycling is fun and very scenic with sweeping views across the farming country and over the rolling hills to the coast of Wilsons Promontory National Park. 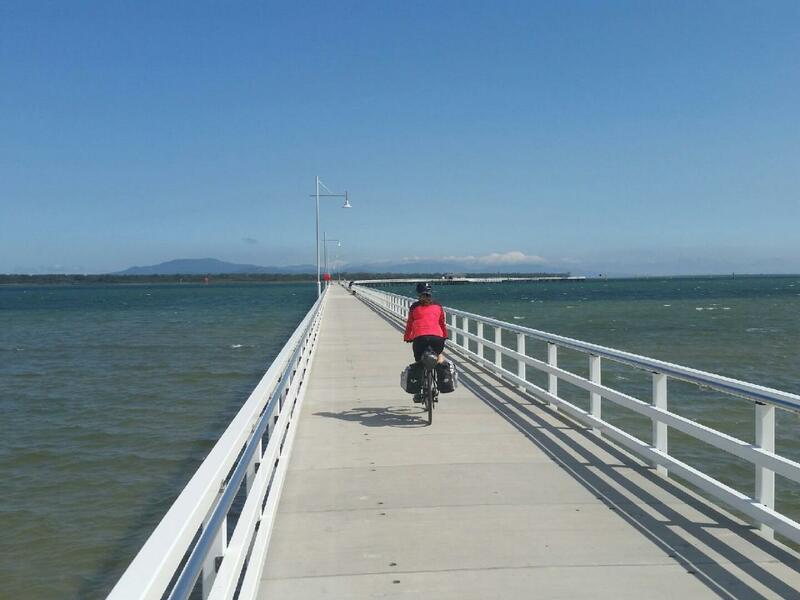 The ride starts in Leongatha and finishes in Port Welshpool where you will can cycle right out into Corner Inlet on the Long Jetty. A fitting end to a great 2 day getaway where you will feel like to just escaped for a whole holiday! 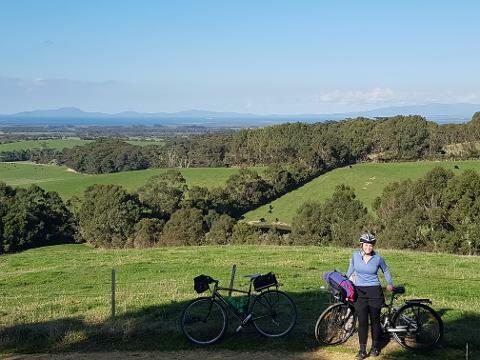 This is a self supported cycle tour. You will need to bring your own bikes and carry your own luggage. 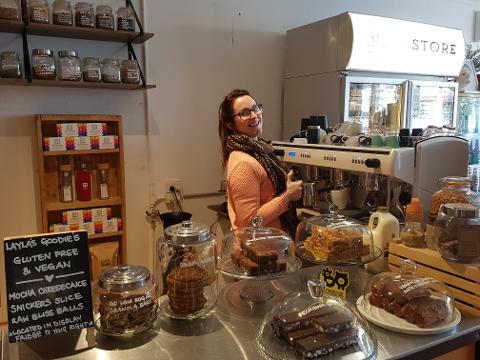 Bike Hire and panniers are available. 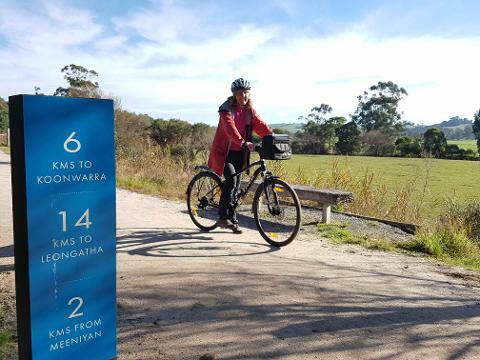 Transfer of cyclists and bicycles from Port Welshpool to Leongatha. 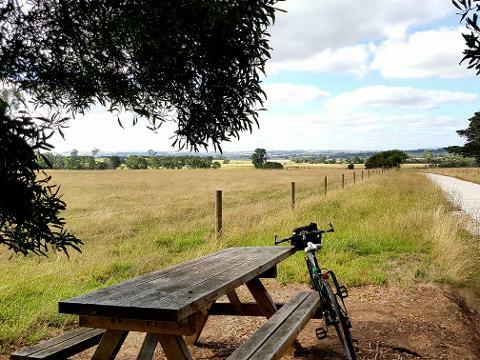 On this ride we offer 2 nights accommodation both close to the Rail Trail and within easy distance of places to eat and all the things that town has to offer. 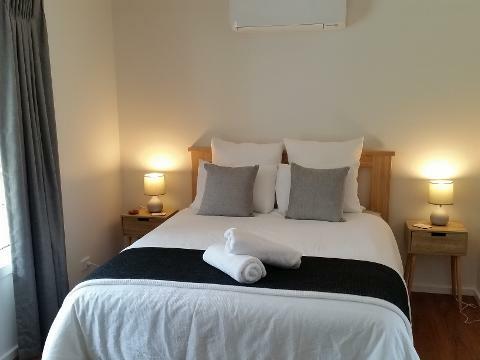 On the night before your ride you will stay in Leongatha, at our Alkira Garden Studios set in a lovely garden and right in the heart of town. 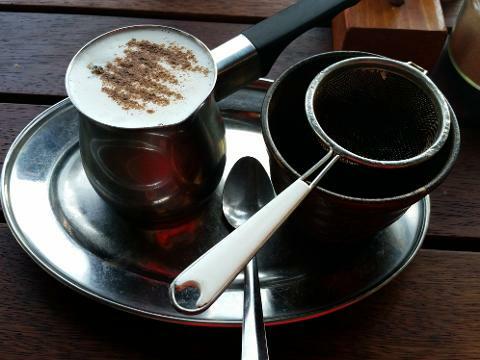 You will awake relaxed and ready to enjoy the amazing cafes of Leongatha before you start your ride. 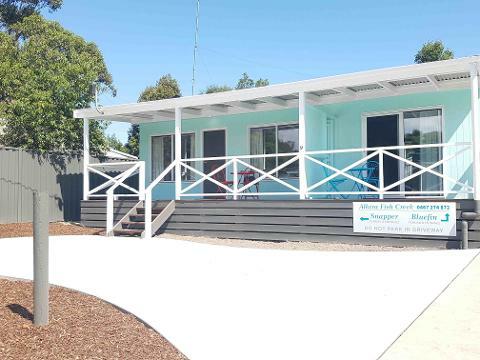 The second night is in our Alkira Fish Creek Studios set right in the quirky heart of town and close to the art galleries, cafes, Fishy Pub and the kids play park. 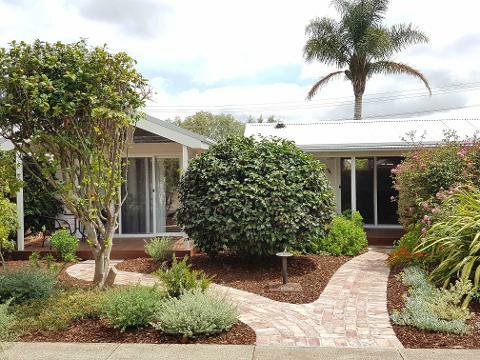 You will have a lovely veranda looking across to the rail trail and the surrounding farms. It is just a short step into town for dinner. 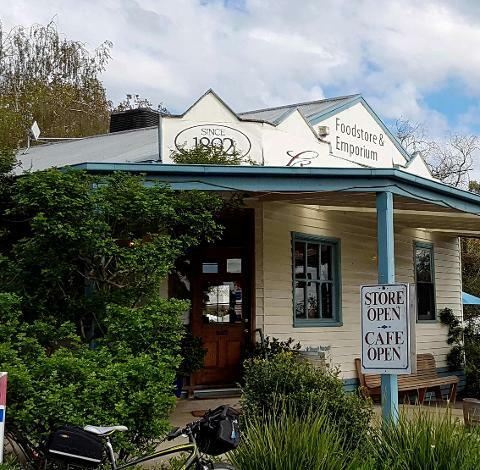 When you finish your ride in Port Welshpool you can enjoy a snack or a drink at the Port Welshpool Pub and we will collect you at 330 pm for transfer back to Leongatha at the end of your 2 day holiday. You need to bring your own bikes for this cycle. 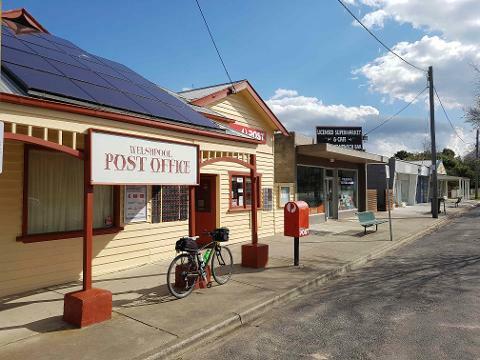 If you dont have a bike or a car to bring it to Leongatha we can hire bikes and panniers for you to transfer your own overnight .